WASHINGTON, D.C. — Americans offer no clear verdict on the state of the U.S. economy, though a majority see the economy as slowing down or worse. Thirty-nine percent of U.S. adults say the economy is slowing down, while 17% believe it is currently in a recession or depression. Forty-one percent say it is growing. Right now, do you think the U.S. economy is growing, slowing down, in a recession or in an economic depression? Still, Americans’ evaluations of the economy were much more pessimistic in December 2012, the last time Gallup asked this question. At that time, slightly less than half of Americans (44%) said the economy, which was growing at a notably slower rate than is the case today, was in a recession or depression. These most recent findings come from a Jan. 21-27 Gallup poll, which overlapped the final days of the U.S. government shutdown. This event may have heightened Americans’ economic anxiety compared with what it would have been without the shutdown. But other concerns, such as recent stock market volatility, likely helped drive these results, as there is some evidence that Americans’ economic optimism, which has been strong since late 2016, was on the decline even before this time. For instance, a Gallup poll conducted in early December 2018, before the government shutdown, found the percentage of Americans who said the economy was “getting better” had fallen by 10 points compared with a month prior. This week, President Donald Trump dedicated a significant portion of his State of the Union speech to touting the virtues of the U.S. economy, which may convince some Americans, especially Republicans, to revise their economic assessments upward. Nearly eight in 10 Republicans (77%) in the late January poll say the economy is growing, significantly higher than the percentage of independents (39%) or Democrats (16%) who express this view. This finding is in line with past Gallup research documenting the wide and growing partisan gap in Americans’ economic evaluations. Gender may also play a role in shaping economic attitudes. Nearly half of men (48%) say the economy is growing, compared with 34% of women. And while this disparity may seem to be an extension of the growing gender gap seen on political issues, men were also more positive about the economy in the December 2012 poll, if not to the same degree, despite different political circumstances. The effect of household income on economic perceptions is less clear. At 22%, Americans living in households earning less than $30,000 per year are much less likely to say the economy is growing; however, there is no meaningful difference between the middle-income group — those earning between $30,000 and $75,000 (48% “growing”) — and those earning $75,000 or more (46%). Sixty-seven percent of Americans believe interest rates will go up in the next six months, including 20% who believe they will go up “a lot.” Likewise, most Americans (61%) see inflation rising in the near future, including 17% who say it will increase a lot. Both economic forces, at least until the most recent Federal Reserve meeting, were expected to rise this year, after many years of lower-than-expected inflation and, resultingly, historically low interest rates. Over the next six months, do you think that each of the following will — [go up a lot, go up a little, remain the same, go down a little (or) go down a lot]? How about — ? Americans are less certain about where the stock market is headed. Slightly fewer than four in 10 expect the market to go up in the next six months, while 42% expect it to go down. This divided forecast may simply reflect the abrupt pendulum swings U.S. stocks have experienced recently — 2018, a year of extreme volatility, was the worst year for financial markets in a decade, while 2017 saw prices surge. Only slightly more Americans believe unemployment will go down in the next six months (39%) than believe it will rise (33%), even as the unemployment rate sits near its lowest level in decades. Here, the role of the government shutdown may have loomed larger on people’s expectations. Furloughed government workers were technically not working, after all, and a Jan. 31 government report found that the shutdown contributed to a small uptick in the official unemployment rate. A Gallup poll conducted just before the shutdown observed no meaningful drop in the percentage of Americans who think it is a good time to find a quality job, despite worsening attitudes about the economy overall. All in all, 44% of Americans say they expect economic growth to “go up a little” or “go up a lot” in the next six months, compared with 37% who foresee a decline of some kind. A multivariate analysis shows that expectations for the stock market play a more significant role than any of the other economic factors reviewed here in shaping how Americans expect economic growth to unfold in the next six months. Unemployment plays a role in forming expectations about the economy, but it is not as decisive as the stock market. Inflation and interest rates play a minor or negligible part. 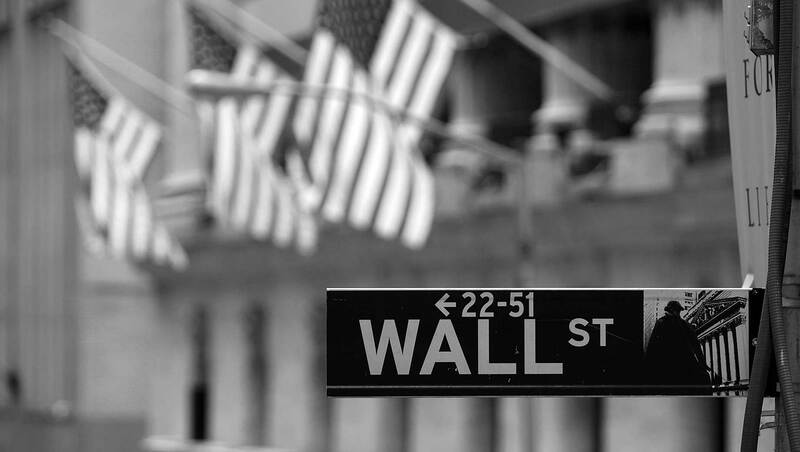 While economists might argue that too much attention is paid to the stock market in forming overall economic opinions, this finding is nonetheless in line with past Gallup research. Gallup’s Economic Confidence Index, when it was tracked weekly, often exhibited rises and falls in accordance with the stock market’s performance. Trump’s triumphant description of the U.S. economy in the State of the Union address aligns with the significant boost in economic optimism many Americans expressed after Trump was elected president. But there are signs that the economic mood is changing, including these latest findings that a majority of Americans believe the economy is slowing down or worse. The government shutdown may be one reason for these opinions, although that will be clearer in the future, once the shutdown is further in the past and threats of another shutdown disappear. But other factors may be informing Americans’ economic verdicts. At least when it comes to forming economic expectations, the stock market plays an outsized role compared with other economic forces, such as unemployment, interest rates and inflation.